As marijuana legalization continues to cultivate support across North America, more than a few states and their collective municipalities are working to expunge or reduce prior pot convictions – calling the absolution a states’ rights issue and a necessary atonement. In 2016, 574,641 American citizens were charged with simple marijuana possession. And for those with past marijuana convictions, they soon discovered it’s far more difficult to become a productive member of society with a criminal record; facing diminished access to employment, reduced chances at a higher education, and restricted housing opportunities. Addressing the issue last week, elected officials from San Diego to San Francisco began the process of rolling out their amnesty program for people convicted of previous low-level marijuana crimes. This week, the Mayor of Seattle joined the call for greater opportunity for those with past convictions and announced similar efforts. Meanwhile, in Vermont, which recently became the first state to legalize cannabis for adults 21 and over through the legislative process, officials are examining their options ahead of the state’s July 1 implementation. 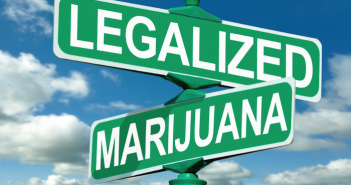 With some form of marijuana now legal in 29 states plus the District of Columbia, Guam and Puerto Rico, the following states are collectively attempting to address their role in criminal justice reform in a meaningful way. Assembly Bill 1793, introduced by Assemblyman Rob Bonta (D-18th District), seeks to enact legislation that would allow the “automatic expungement or reduction of a prior cannabis conviction for an act that is not a crime as of January 1, 2017.” Under Proposition 64, residents of California are now allowed to possess and purchase up to 1 ounce of marijuana and cultivate no more than six plants for personal use. The voter-approved measure, in addition to legalizing adult-use consumption, cultivation, and distribution – allows individuals convicted of past criminal marijuana possessions to petition the courts to have those convictions expunged. An expensive and time-consuming venture for most individuals, the automatic expungement of records would be mandated by the passage AB-1793. H.2785, authored by Rep. Aaron Vega (D-5th District), and cosigned by 25 other elected officials, would allow for the expungement of “records of marijuana arrest, detention, conviction and incarceration.” Marijuana use in Massachusetts was first decriminalized in 2008, with the voters approving medical marijuana just four years later in November 2012. Officially legalized for adult use on Nov. 8, 2016, residents are still waiting for their first recreational dispensary to open. S.830, sponsored by Sen. Nicholas Scutari (D-22nd District), would not only legalize the personal possession and use of small amounts of marijuana by those over the age of 21, the bill also allows a person convicted of a prior marijuana possession to present an application for expungement to the state’s Superior Court. While Colorado, Maryland, and Oregon have already passed legislation to have misdemeanor marijuana charges sealed or thrown out entirely, approximately 4,900 Californians have filed to have their past pot convictions expunged since Proposition 64 was passed.